For me it feels like the sites of today share the similar theme of different forms of worship. It’s a bit of a tenuous link, but one I think can apply to the first three things saw today. How do I start talking about the Sagrada Familia? I mean this is something that is the definition of breathtaking and the damned thing isn’t even finished yet. 9-10 years until completion and its construction has taken the work of generations of architects, planners and builders. The outside of the church is amazing enough. It’s absolutely massive and the tallest towers are nowhere near completion yet. Hell, only two of the three facades are nearly done – the other just looked it had barely been started. The sheer level of detail on the facades themselves are incredible. 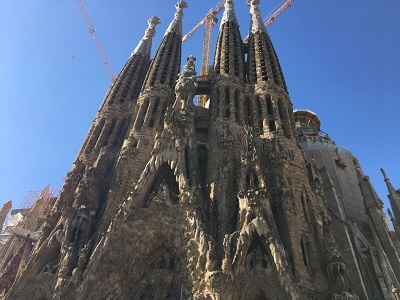 At the moment we can see those dedicated to the nativity and the crucifixion (the third and final facade is still under construction as of writing this). They completely contrast with the other – the nativity side being more exuberant with its carvings of animals and beautifully designed leaf doors. 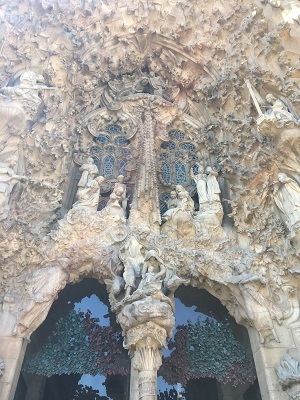 It’s things like the incredibly ornate doors and the cryptogram on the side of the passion facade that show just huge this project is. 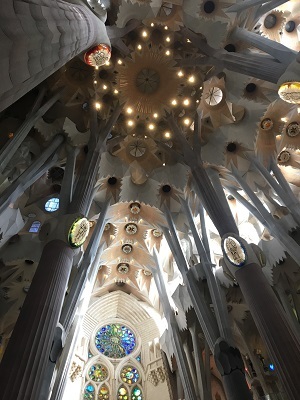 With most of the original designs lost due in a fire started by rioting citizens the design and building of the Sagrada Familia really has become a group effort. Oh and this is all just the outside. That first time I stepped into the basilica itself was literally breathtaking. I just stood there covered in goosebumps and had to take a minute to register as much as I could. If I believed in that sort of thing I guess it would be called a ‘religious experience’, but for me I’ll just say that I was incredibly overwhelmed by the beauty. Because of the vastness of the interior it is impossible to find one picture that truly showcases what it looks like. It doesn’t help that, thanks to Gaudí’s amazing use of light, the colour inside the basilica changes throughout the day. Why? Because of the stained glass windows. The colours and positioning of the windows have been done for maximum effect – cooler colours on one side and warmer shades on the other. When we were inside there was a lot of light coming from the warmer windows which gave the space above the alter a soft golden glow. To be honest, I did not want to leave. I wanted to just stay inside and keep exploring the nuances in Gaudí’s design. Like how the columns were all slightly different in colour and ridging. The jewelled names of the Evangelists. The long list of names that can be found within the windows themselves. Just wow. I now know what a real life version of the stone forest of Nausicaa looks like – and I know I have to come back when it is complete. 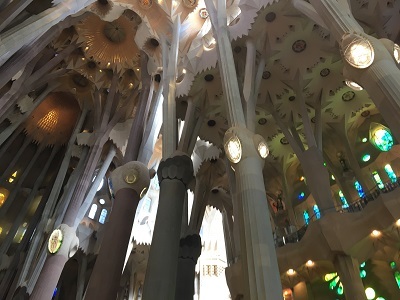 Alas, we still had many things to see so it was goodbye and onto the second place of worship some 9 stops away on the Barcelona Metro – which I want to pay a massive compliment to. We bought a 10 trip ticket and that’s really going to see us through the whole trip. So yes, when I said worship I don’t think I was too out of order to put football under that umbrella. 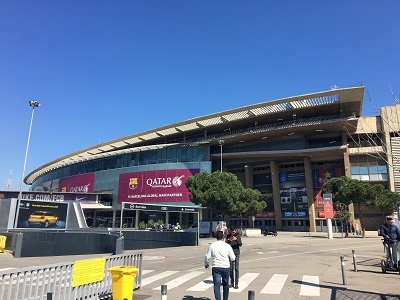 Under the insistence of the guide we went to visit Camp Nou. I drew the line at the the 25€ to do the tour since I have no interest in football. I know it’s a bit of a cop out, but that’s expensive for something you don’t really want to do. Still, that’s another Lonely Planet site ticked off… just not one that I found too interesting. 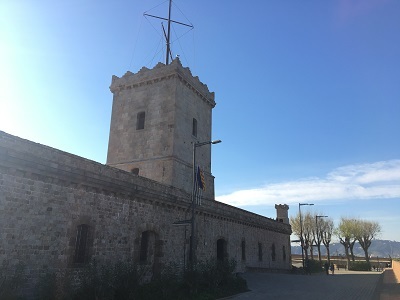 So, hitched another ride on the Metro and got off at the southern end of La Rambla – but first we took a turn around the marina, because why not. I keep forgetting that this is a seaside city. I had colleagues telling me to go to the beach, which I didn’t do because I have no real interest in beaches. I do love the water though, even if this was a wee bit cluttered by all the port buildings. 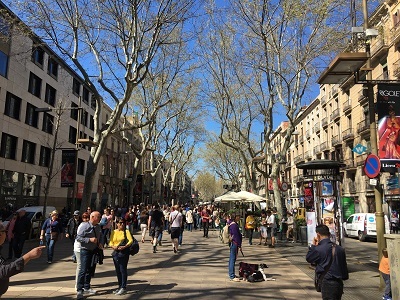 We eventually made it up La Rambla and into what would best be described as my place of worship: the food market. In this instance La Boqueria. 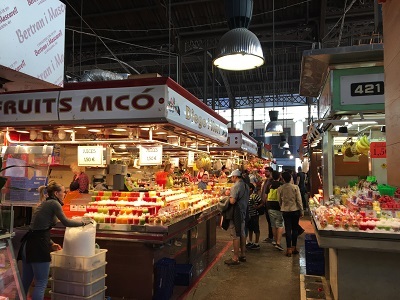 It’s not as big as Borough Market or Tsukiji Fish Market, but it was so interesting to look around the place! Sadly I fell short of my aim to find a place that sold fried bull testicles (or criadillas), so I guess I’ll have to wait for another trip to Spain before crossing that food item off the list. Still, I managed to purchase some list chorizo and cheese that I need to somehow get back to London in one piece. The list of food items that I am bringing back to the UK just keeps on growing. After a short rest in the hotel room we were back on the road, well the metro, funicular and cable car, but you know what I mean. Our final destination was Montjuïc Castle so we could get some good views over the city. The first thing that struck me was a weird smell that was very much like the smell of cooking Heinz Spaghetti Hoops. I guess there was a restaurant nearby and the wind was in the right direction? Or maybe a tomato field was on fire? I have no idea, but what I DO know is how gratifying it is to still qualify as a reduced fee for some of these Barcelona attractions. This is possibly the best view you can get of the city of Barcelona. The seagulls appear to really appreciate it as they circle above the sea-facing parts of the castle. Be careful of their divebombing – the hub had a misadventure with one of them crapping very near him and just clipping his forearm. Gross. 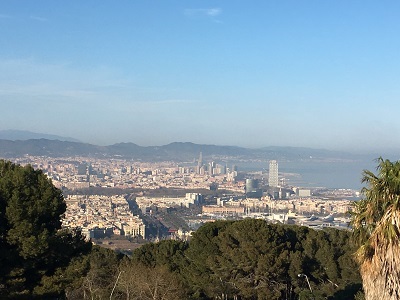 We walked down the mountain, taking in the views of Barcelona on the way down and coming across the famous site where the Olympic diving competitions took place 25 years ago. I completely get how those fantastic pictures were taken now of those divers with the city skyline in the background. 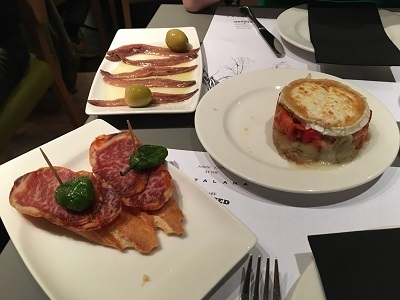 Dinner was another tapas affair – this time at Cerveceria Catalana. I mention this restaurant by name because the food here was beautiful. We ordered 7 different dishes and the bill still came out to under 40€. 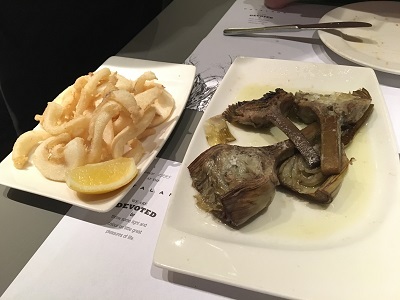 Some highlights were the fried artichokes, the Spanish omelette and goats cheese with escalivada (that last one was the hub’s pick, and the boy did well there). So yea, I really think we should have been here for longer. I mean, Barcelona is one of THE cities in Europe and we only had two full day to explore it. 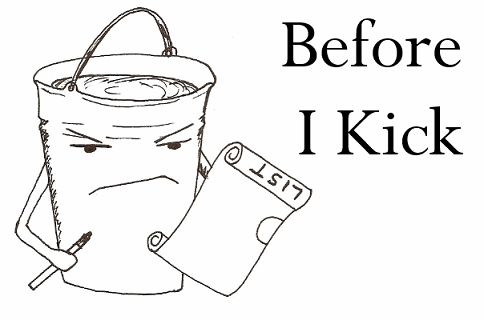 Still, we sure made the most of it. For our final day in Spain we are venturing to the nearby town of Figueres to take in the Dalí museum. Bit nervous about this considering the Picasso Museu yesterday… but I guess I’ll just have to wait and see.